Prosecco is an Italian white wine. While it’s overwhelmingly known as a sparkling wine. However, Prosecco Tranquillo (still white wine) is also produced. Since the early 2000’s, Prosecco has seen a real surge in popularity outside Italy. Prosecco is the name of a denominazione, made mostly from the Glera grape. The Glera variety is also often referred to as Prosecco, so the name can mean both the grape variety and the appellation name, which is quite uncommon in Europe. The production region of Prosecco is located in the North of Italy, not far from the city of Venice. Interestingly enough, the appellation is named after the city of Prosecco, which is located near Trieste. However, most of the production lies nearer to the city of Treviso, further to the East. 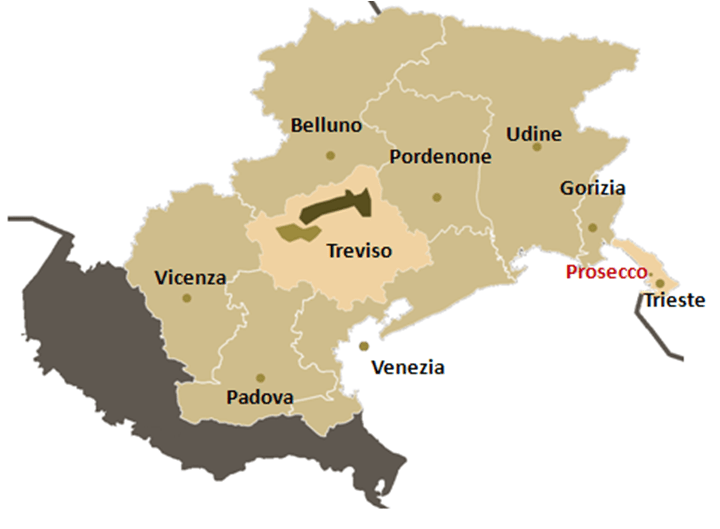 It is also near Treviso that the highest quality Prosecco wines are produced. Overall, the region is very hilly, with some vineyards situated on dramatically steep slopes. Wedged between the Alps and the Adriatic see, region enjoys a mild climate, with an average temperature during the year of around 12°C. The constant winds allow the grapes to dry quickly after it has rained which helps to prevent diseases affecting the vineyard. HOW ARE THE WINES CLASSIFIED? There are different “levels” of Prosecco produced under the wider “Prosecco” appellation. Prosecco DOC: this is the basic level. 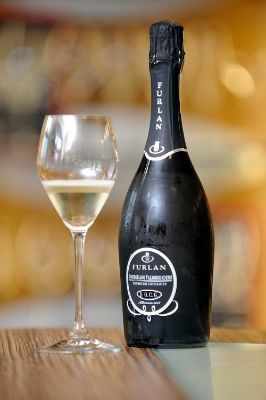 The wines can be produced in three styles which are “Spumante” (sparkling wine – the one most people know), “Frizzante” (semi-sparkling) and “Tranquillo” (still). Depending on their sweetness, in accordance with the EU Sweetness of wine Regulations for Terms used to indicate sweetness of sparkling wine, Proseccos are labelled “Brut” (up to 12 grams per litre of residual sugar), “Extra Dry” (12–17 g/l) or “Dry” (17–32 g/l). Prosecco Superiore DOCG: Prosecco Conegliano Valdobbiadene Superiore DOCG is the “next level up”. The wines will be of a higher quality than the DOC wines. The production area is restricted to a small zone between the towns of Conegliano and Valdobbiadene (near Treviso). 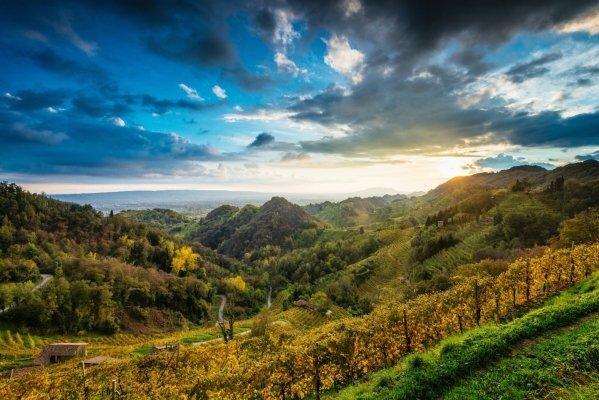 While practically all the Prosecco DOC wine is grown on plains covering a wide 20,000 hectares, Prosecco Conegliano Valdobbiadene Superiore DOCG is grown exclusively on hillside vineyards in a far smaller growing area totalling 6,586 hectares. Because the vineyards are on steep slopes, most of the harvesting and tending of the grape is done by hand. Asolo Prosecco Superiore DOCG: situated just across the river from the Conegliano-Valdobbiadene region, this small appellation also produces high quality wines. Rive DOCG: Rive DOCG wines are usually produced on the most steep and high-quality vineyards. Each sub-zone included under the Rive appellation will appear on the label, and the wines will be an expression of the unique terroir from that particular sub-zone. Superiore di Cartizze: this small appellation includes only around 140 growers. Wines from this appellation are widely recognised as being the best Proseccos produced. This is the topic of a full article, but in short, Prosecco is usually made using the Charmat method. 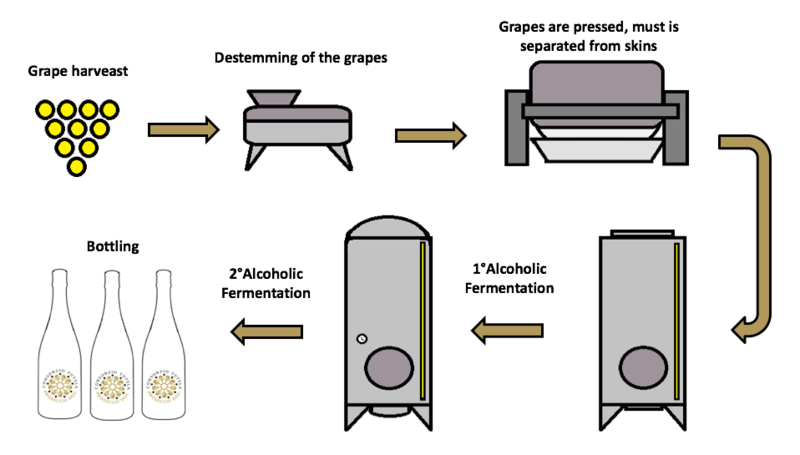 In this method, the secondary fermentation (the one producing the bubbles) is done in stainless steel tanks. This is a cheaper method than the Traditional method (the method used in Champagne), in which the second fermentation happens in bottle. The following grape varieties are used in combination to Glera: Verdiso, Bianchetta Trevigiana, Perera, Glera lunga, Chardonnay, Pinot Bianco, Pinot Grigio and Pinot Nero. These grapes can form up to 15% of the blend, the rest being Glera. Prosecco DOC should be enjoyed young to truly savour its aroma and flowery, fruity flavour. It doesn’t age in bottle as Champagne does, and therefore it is best consumed within a few years after harvest. The best glass to enjoy Prosecco is a tulip shaped glass (see below) as it allows the nose to really develop and be best appreciated. BRUT when the sugar content is less than 12 g/litre. EXTRA DRY when the sugar content is between 12 and 17 g/litre. The most common Prosecco tends to be Brut, although you may have thought that the wines was sweeter than a standard Champagne. This comes from: the lower acidity of the grape, and the fruity roundness present in most Proseccos. Typical aromas on the nose will be pear, apple, melon and also floral notes such as honeysuckle. Prosecco is traditionally drunk as an aperitif wine, and there’s nothing wrong with that. It is also a common ingredient in a handful of renown cocktails such as the Bellini (Prosecco and peach purée) as well as the Spritz (for example Aperol spritz which consists of Aperol and Prosecco). However Prosecco can also be a great partner to food. It can work very well with seafood pasta or fish dishes with a creamy sauce. The wine will work as a “palate cleanser” allowing to cut through the fat content of the dish. You can also use an approach where the wine compliments the dish, rather than contrasting with the dish. This will apply well to deserts for example where the perceived sweetness of the wine will match the sweetness of your dessert. 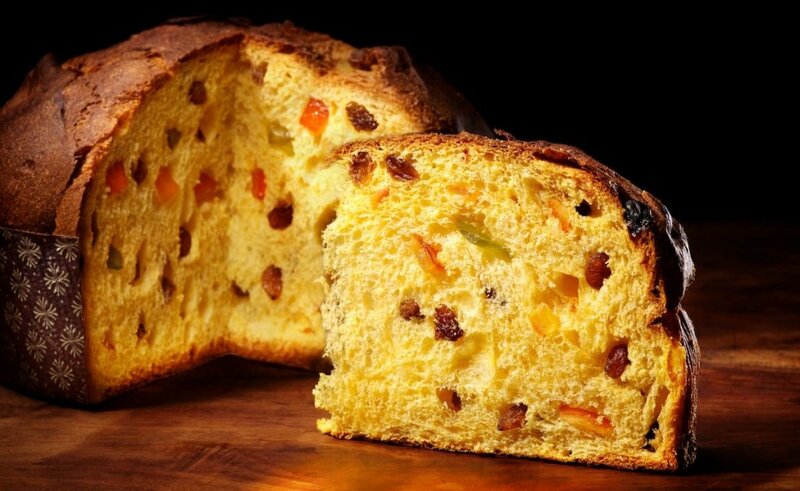 To stay in Italy, a good pairing that comes to mind is a Brut Prosecco and Panettone. The aromatic profile of the wine also makes it a great partner so certain Asian dishes, such as Pad Thai or Satay. Overall Prosecco can be really versatile! Here are five beautiful examples, that each show off a different aspect of this great sparkling wine. I’m a big fan of all of them!